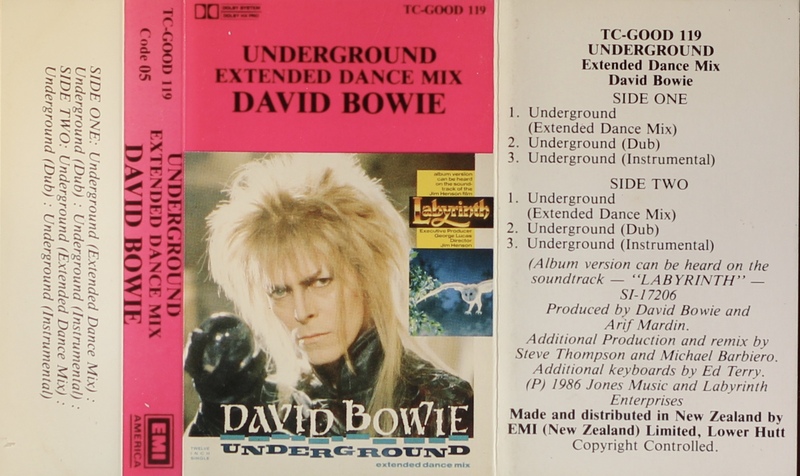 Underground: New Zealand; EMI America, TC GOOD 119; 1986. Pink tab top and spine with white rear and inner panels on folded, treated thick paper; Dolby HX Pro logo in tab top. Track list on rear and inner panels. The rear of the cover is blank. Made and distributed in ‘New Zealand by EMI (New Zealand) Limited, Lower Hutt’. ‘Code 05’ on spine. The tape comes in a yellow-back plastic case with import sticker. 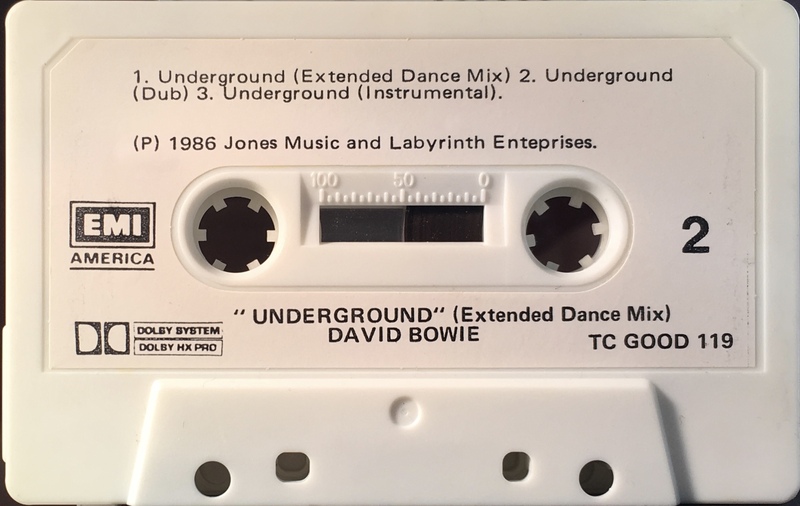 Although not stated the timings for the different versions of Underground are: Extended Dance Mix (7:43); Dub (5:51); Instrumental(5:48). Black ink printed directly onto white shell. ‘EMI America, ‘Dolby HX Pro’ on shell..
Side 1: Underground (extended dance mix); Underground (dub); Underground (instrumental). 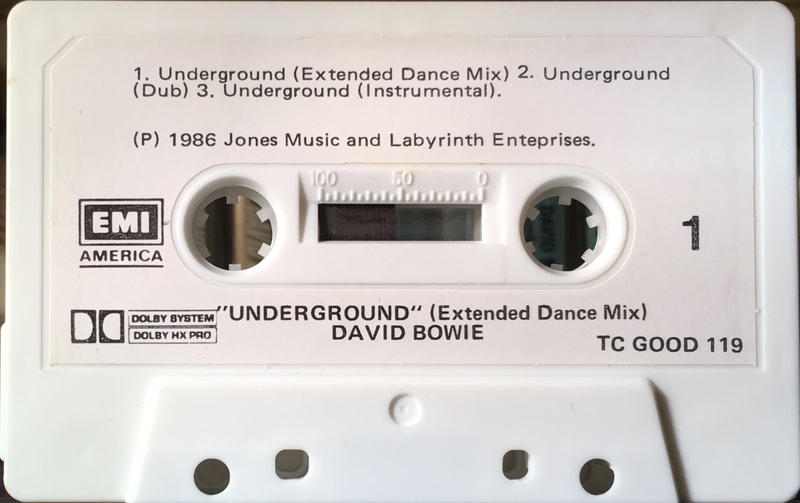 Side 2: Underground (extended dance mix); Underground (dub); Underground (instrumental). UK (MCPS) Import Sticker detail.